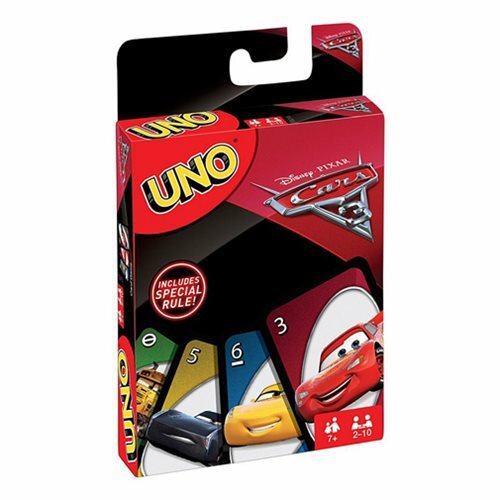 Race to the finish line with this exciting Uno Cars 3 Game. With your favorite characters from Cars 3 and a special new wild card: The Crash Up Rule, this game is sure to be a blast! Score points by discarding all the cards in your hand. But, don't forget to yell "Uno!" when you're down to your last card! The first player or team to 500 points wins. This Uno card game pack includes 112 cards plus instructions. Made for 2-10 players and ideal for ages 7 and older.